A free-to-play game purely about slow-moving ancient vehicles may not sound like the recipe for a hit game, but the spoonerism-inducing World of Tanks has attracted millions of players around the world. But how, exactly, has it captured the hearts and minds of a generation raised on Counter-Strike and World of Warcraft? If the frantic battles of Modern Warfare are squash, the back-and-forth of Battlefield tennis, then World of Tanks is surely the gaming equivalent of Badminton. It takes place at a more sedate, leisurely pace and focuses on the groundwork so you can launch that shell – or shuttlecock – at your enemy at just the right time. First released in Russia in October 2010, the game has attracted a huge following. It’s even achieved a Guinness World Record for the most amount of players simultaneously on one (assumedly creaking) server. It’s free-to-play, and has thus far attracted some 3 million user registrations. But what’s the appeal of a game whose primary concern is slow-moving, sometimes 80-year-old machines of death? Part of it comes from its genre-bending approach. It describes itself as an MMO – with tanks! But it could also be considered Counter-Strike on tracks, or Need for Speed World with turrets. For shooter fans, there’s the nigh-on instantaneous draw of blowing enemy armoured vehicles to smithereens, bedroom strategists can plan and execute attacks, and MMO fans can have fun infinitesimally tweaking and customising their chariots. 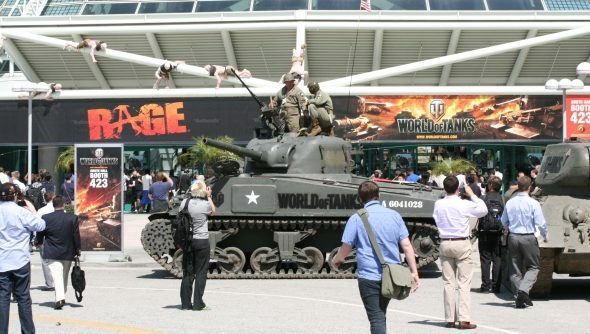 World of Tanks’ loose attitude to genre is tightened somewhat by its singularity of vision. It’s a game about tanks – and nothing more. Great big ones, little tiny ones, fast ones and slow ones, all united in their fundamental tankiness. Constructing a realistic human being isn’t an issue here, tanks – so called because early ones literally resembled water tanks – consist of little more than a box with a couple of cylinders jammed on top. It’s a great template to start from, and customisation options such as camouflage and slogans mean that they can be personalised just as much as a soldier or a dwarf. Then there are the 150 tanks themselves, each of which can be outfitted with different weapons and armour. Being free-to-play, you’ll have to splash out for some of these with World of Tanks gold, but developers wargaming.net have engineered the game so that you’ll be able to play for ages without spending any dosh. The game itself marks a dramatic change of pace from conventional shooters. Battles are deliberated affairs, and although you can rush in with your turrets blazing it soon becomes apparent that tactics are needed. The landscape makes a crucial difference here – even a gentle incline can slow your tanks to a snail’s pace, leaving it painfully vulnerable. You also need to slow down, or preferably come to a complete standstill to take accurate shots. Then it’s a question of waiting for the tank to reload. Damage is dealt a bit at a time, taking out your engine, fuel tank or gun. Once you’re dead it’s game over, which adds to the excruciating level of tension. 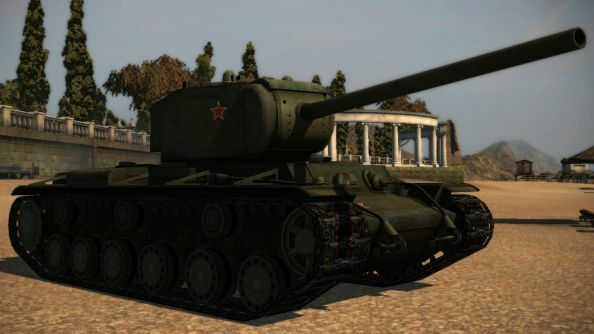 World of Tanks began its life in closed beta in Russia in January 2010. At the time it had a mere seven tanks and three maps, but there was clearly potential: over 400,000 battles took place during this time. An official Russian release followed in August 2010, with an English closed beta starting the month before. From here, World of Tanks went ballistic. The Russian server hit one million registered players in January 2011, it was released in Europe and North America in April 2011, and by may of that year it had three million registered players. It’s currently in open beta in Southeast Asia, proving that World of Tanks is fast taking over the world.